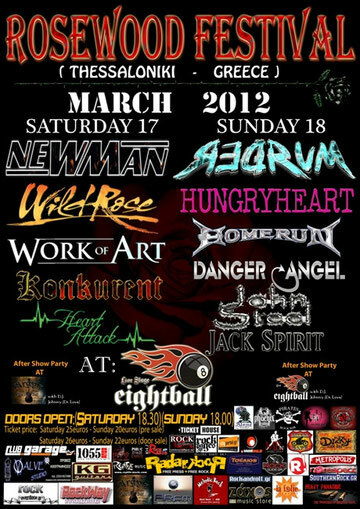 One of the big rock event in Greece ROSEWOOD FESTIVAL is held at the club "eightball" in Thessaloniki on March 17 and 18, 2012. Great bands from both home and abroad in Hard Rock, Melodic Hard, AOR, Hair Metal and Glamm Metal appear on stage for 2 days. See more info ROSEWOOD FESTIVAL on facebook.